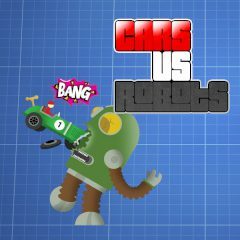 The cowardly enemy robots try to hide from you! Choose a car, drag it back and release the mouse button to jump at the robots! You have more than one car in case you do not succeed from the first time!